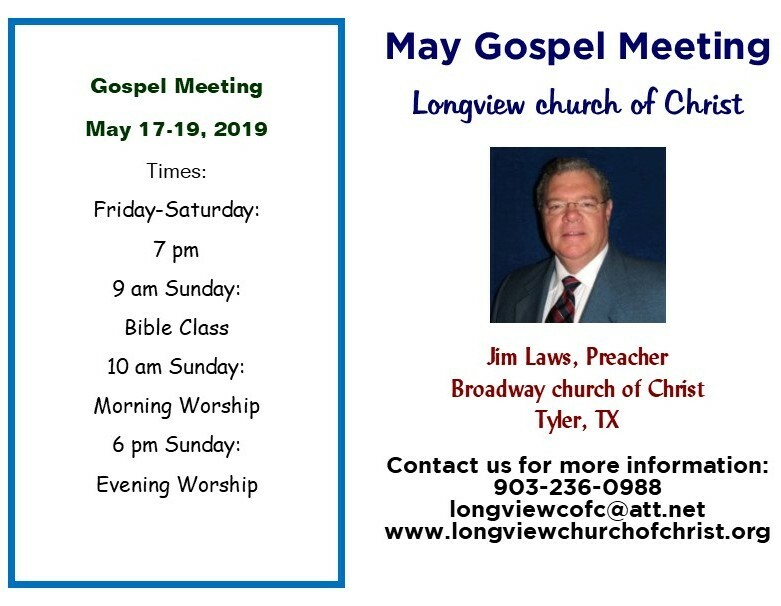 Our 2019 Theme: "Our God is an Awesome God"
The Longview congregation is a loving, spiritual family, where we seek to worship and glorify our heavenly Father. God is exalted as we seek to put His word into practice in our daily lives. We seek to provide the environment for each member to utilize his/her abilities in our Lord, to make use of the opportunities God gives us, collectively and individually. Our goal is to seek to put first His kingdom and righteousness. We would be honored to have you come visit us! the pillar and foundation of the truth"